I’ve been with TWE for more than five years and have held a number of positions, starting out in our warehouse and progressing to my current position: old and rare buyer. With my first foray into writing, it only seemed natural to write about my first love in the whisky world: Linkwood. 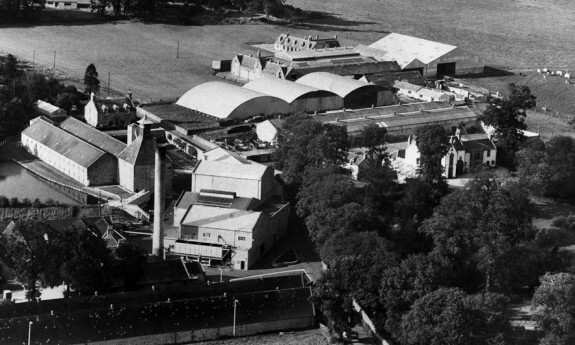 Without a doubt, Linkwood is one of Diageo’s workhorse distilleries and one whose name is well known among blenders. With a capacity of 5.6m litres per year, almost every drop goes into blended whisky. 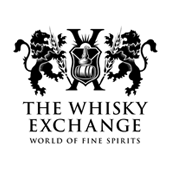 In fact, you’ll find that some of the biggest names in the blended whisky category will contain some Linkwood in the mix, most notably Johnnie Walker, White Horse and Bell’s. 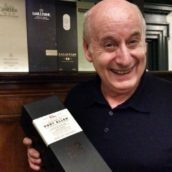 Prior to starting work at TWE, I hadn’t tried any single malts, or even really heard of them. But after attending a number of our shop tastings at TWE Vinopolis, I developed a fondness for the stuff. 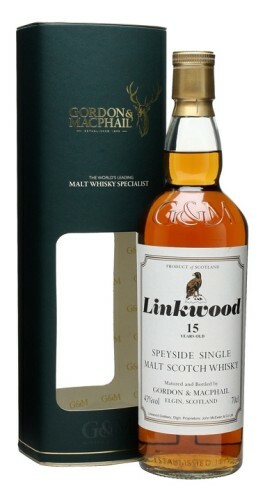 The first bottle of whisky that caught my eye was a Gordon & MacPhail release of 15-year-old Linkwood from the 1990s. Something about the bottle called out to me – I just had to have it. Rather conveniently for me, it was damaged and so we couldn’t list it on our website. I spoke with Sukhinder [TWE director], money changed hands and that lovely little Linkwood went home with me. I’ve been lucky enough to get my hands on several more bottles of that same release over the years, and I dread the day when I’m finally unable to find it. The original Linkwood distillery was founded in 1821 by Peter Brown, who operated the distillery until his death in 1868. His son William took over operation of the distillery and ran it for a few more years before it was demolished in 1872 and rebuilt two years later. 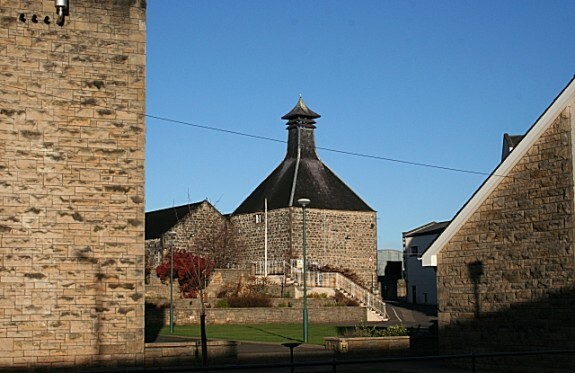 Aside from some changes in ownership and management, the distillery stayed relatively the same until 1971 when four more stills were added, bringing the total to six. Those four stills are housed in a new distillery built alongside the original, often referred to as Linkwood B. Both distilleries ran side by side until 1985 when Linkwood A was mothballed. It remained as such until being reopened in 1990 – coincidentally the year I was born – to produce whisky for a few months each year. Alas, it didn’t last long. Between the years of 2011 and 2013, the old distillery building was demolished. The old pair of stills were taken, refurbished and installed into the newer building, which had been expanded during that time as well. At present, Linkwood distillery has three pairs of stills and 11 washbacks. 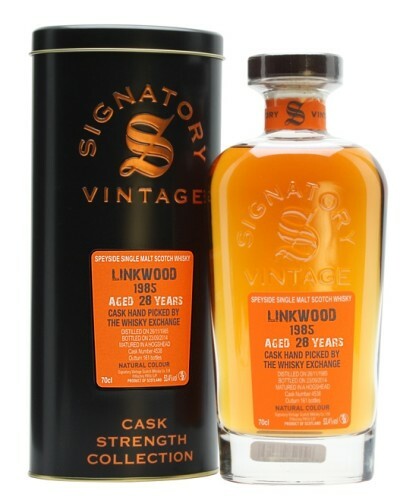 While it’s still churning out whisky to go into blends, there is only one release of Linkwood that is officially bottled by the distillery: the 12 Year Old produced for Diageo’s Flora & Fauna range. 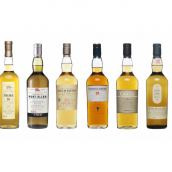 Of course, there have been others in the past, including two releases for Diageo’s Rare Malts range and a trio of 26-year-old whiskies released in 2008; each finished in a different type of cask. As a single malt, it’s quite similar in style to Strathisla and tends to have some gentle smoke and an almost spicy character. Most expressions I’ve tried have a little fruitiness to them; green apples and such. Although it’s quite hard to come across single malt releases, we have – quite possibly – the largest selection of Linkwood online. Nose: Cornflakes and candied lemon to start, with butterscotch and beeswax, and spiced cake batter with a dusting of icing sugar. Lemon bonbons develop, along with herbal undertones. Palate: Spiced butter and soft citrus are joined by growing green apple and a sharp oaky note. Spice grows and the palate turns slightly sour, although accompanied by balancing sweet oak. Finish: Quite dry, with apple skin and freshly cut driftwood. Nose: Liquorice, damp oak, old black leather, brown sugar, maraschino cherries, cinder toffee, stewed prunes, raisins and sweet mixed peel. Palate: Drier than expected from the nose, with layers of oak – both bitter and spicy – dark leathery notes and a slight dustiness. Sweet butter is buried by burnt raisins, nutmeg and stewed apple. It sweetens up as it develops, becoming juicy and mouth-filling, with more fruit and tingly spice. Finish: Bitter oak gives way to neat Ribena and a burst of sweet liquorice, like blackcurrant and liquorice sweets. Ashy touches linger. Nose: Rich outdoor notes – forest floors, damp leaves and wet bark – and a touch of milk chocolate. Heady petrol-like notes sit behind that richness, carrying lighter honeysuckle and rosy touches. Cadbury’s Dairy Milk Turkish? Palate: Sweet dark chocolate fades to sour liquorice, anise and bitter green leaves. Leathery spice develops along with a candy sweetness and polished oak. It bounces back and forth between pleasant bitterness and sweet oak, with creamy touches. Finish: Sweet and spicy finish, with the palate’s dark chocolate and the nose’s rose petals joined by a touch of damp oak. Nose: Lots of mulchy hay and farmyard hints to start, with freshly cut deal and saw dust, boot polish, leathery hints and incense. It’s quite dry and focused on the wood, with fragrant oak notes. Palate: Explosive on the palate, with lemon wine gums, tingly cinnamon spice, speculaas biscuits, sherbert and dry oak balanced by rich, resiny flavours. Tingly aniseed balls come in before the finish, with a gentle tongue numbing sensation. Finish: The aniseed fades to freshly sawn oak, sweet pastry and a gentle woody spice. 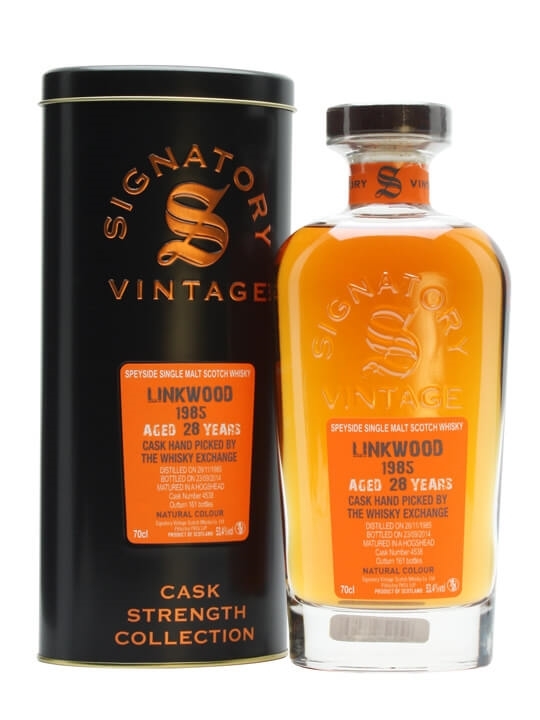 The team were keen to try to the 1990s Linkwood I had brought in and it’s fair to say that it exceeded their expectations – coming up as either their favourite or runner-up. I’m happy to have given Linkwood some attention and, hopefully, helped it to grab some of yours. But now, I can’t help but look at my bottle of Linkwood 15 Year Old and not spot its noticeably lower level … on that note, it’s back to trawling auctions! 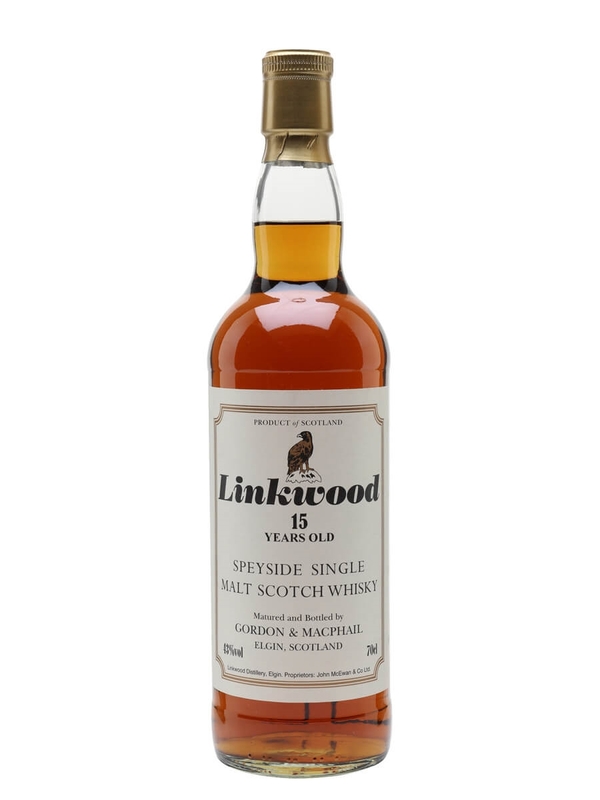 A bottling of Linkwood 15yo from indie bottling heroes Gordon & Macphail. We like a good Linkwood at TWE, and on the trip to Signatory where we selected this exclusive bottling we were very pleased to find this example. Distilled in 1985 and bottled after 28 years in an American-oak hogshead, this is robust and spicy.